The role of an anime sound director is second only to that of an animation director, since sound tells parts of the story that images cannot. 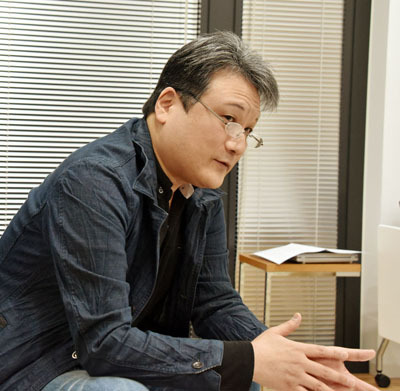 In this interview with Gigazine, Yamato 2202 Sound Director Tomohiro Yoshida discusses his role in detail and examines the history of Yamato sound. Published by Gigazine, January 23, 2018. See the original post here. 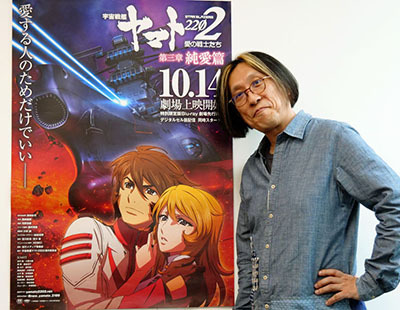 As a remake of Farewell to Yamato (August 1978) and Yamato 2 (October 1978), Yamato 2202 consists of seven chapters being produced for theaters. Chapter 4, Destiny Chapter, opens Saturday, January 27, 2018. This time, we speak with Tomohiro Yoshida, who continues as the sound director from Yamato 2199, about the basic points of his work, music, sound effects, voice recording, and a variety of things. See Yoshida’s credits at Anime News Network here. Interviewer: First, please tell me what kind of work you do as the sound director of Yamato 2202. Yoshida: It’s a bit difficult to explain in words. I am involved in the overall image formation of the “sound” in practical terms, including cast and music, sound effects, and the studio setup. I consult with the director, and I’m present during the entire process of expressing his requests as sound. That’s the job. Interviewer: Regarding the music part, does that mean choosing what kind of music to use in what kind of situation? 2202 is based on Yamato 2 and Farewell to Yamato, and we can’t break the image of what has happened so far on Yamato 2199, so what kind of picture do we build up from there? That was also the case on 2199. While taking care with the old music, there were some new concepts and parts where we dug deeper into the story, and we got Akira to write new music for the changed parts. I do the work of filling in the whole. But we can’t do that now, considering the schedule and the stamina of Akira Miyagawa, so I thought about how to reduce 200 tracks down into practical numbers. As I read the scripts, I identified scenes where the old music came rushing back into my head and narrowed it down to 60 pieces for the time being. However, when I thought about redoing the old pieces while considering the addition of new ones, even that became impossible. So I tearfully squeezed it down to 40 pieces from Yamato 2 and Farewell, plus pipe organ. Interviewer: Mr. Miyagawa said, “In creating the music for 2199, I didn’t have the old score so I transcribed it.” The story is that this work started the same way. Did it start with the 40 pieces that you narrowed down to? Yoshida: That’s right. At the time of 2199, we tried to remake the same thing as the original, a nearly complete copy. This time Akira said, “It’s a bit unsatisfactory,” and I said it was OK to be flexible and rearrange it, so he’s made some improvements in his own way. Interviewer: What do you think is the appeal of Akira Miyagawa’s music? Yoshida: Yamato is a hard fit. (All laugh) Good music with flow and development, and synchronizing how it flows with the images and story is the life force of Yamato. In an ordinary TV series there are parts where, “This battle scene goes from here to here and the music doesn’t quite fit, so let’s edit it accordingly.” But you can’t do that with Yamato. So we pursue it as far as we can without overdoing the music. Interviewer: One of the new pieces Mr. Miyagawa made for 2199 was Yamato into the Vortex. There’s a story about him saying, “I was a little embarrassed when I made it, but I asked Mr. Yoshida and he said ‘This is the best,’ so we adopted it.” What was your first impression of Yamato into the Vortex? Yoshida: At the moment Akira said “go” to his 60-person orchestra, I was shaking. It was a feeling like, “Whooooah, come on! !” (Laughs) There are several arrangements of the Yamato theme, including one from Be Forever called Yamato Advances into Unknown Space. I asked Akira to “do one that tops those.” It was arranged little by little over time, but he surpassed them wonderfully, and I think the arrangement is amazing. Interviewer: It was the music that responded to your impossible request and “topped those” spectacularly. (Laughs) Mr. Habara has strong feelings about the musical side. Have you gotten any direction from him? Interviewer: For the new image of Gatlantis, did you have any specific instructions about replacing the “barbarian” feeling? 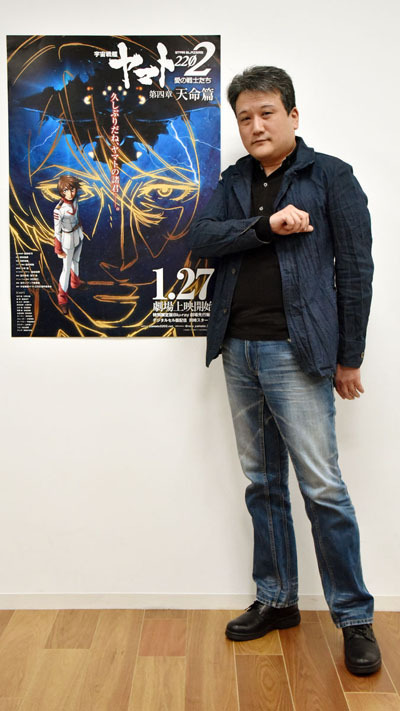 Yoshida: It was to be closer to the image in Farewell and Yamato 2. Interviewer: You talked about creating and ordering a new menu of music. Was there any difference in the musical trends between 2199 and 2202? Yoshida: The basic thought is the same; to make new music if it’s a new thing not depicted in the original or if we’re digging deeper. In the case of 2199, Dessler had been featured in the past, but the nation of Garmillas itself wasn’t very prominent, so there was the concept of, “Let’s make something that depicts the nation of Garmillas.” 2202 is the reverse. The Gatlantis race was depicted, but since there was no digging into Zordar we decided to make some Zordar music. The basic concept of “filling it in” is the same. Interviewer: As Mr. Miyagawa wrote new music for 2202 he couldn’t inherit it from the original, so he had to compensate. For example, in 2199 he wrote comfortable music for the depiction of daily life on board the ship. What are the parts that have new music in this work? Yoshida: Putting it that way, there aren’t very many. Interviewer: Since there are over 200 pieces from the original, did you have the feeling that they would cover it all? Yoshida: That’s right. The feeling was that it would be OK to supplement them with something new this time. Interviewer: When you’re in a position on 2199 and 2202 to choose the music to pick up, are there some pieces where you think, “I’d like to put that one in”? Yoshida: I cried over a lot of music that got cut. Interviewer: You mentioned before that you’re a big Yamato fan. What was it that brought you to Yamato? Yoshida: When I was in elementary school I watched [baseball anime] Samurai Giants, and I was in the habit of watching Japan TV at that time on Sunday, so the week after Samurai Giants was over I just watched the next program. The first thing I noticed was, “The voice of the main character is the same.” So I might have been a weird kid (laughs), but that’s how I naturally started with Yamato and that was it for me. Interviewer: You became a big fan. What was your favorite part? Yoshida: I liked both the design and color of Yamato very much. The overall feeling of the art was that a lot of various talents were concentrated into one, and I was able to identify with it very much. Interviewer: What opportunity led to you doing this work? Yoshida: My parents and my grandfather were all bankers, so we were a “banker family” and I always got a serious education to “work hard and enjoy your hobbies with the money you earn.” There was a time when I thought there must be “something different” somewhere. When I was a high school student I got the opportunity to work with people associated with the music director of Be Forever Yamato, and after doing various things I was recommended for the Yamato 2520 OVA. There was a wave of Yamato CDs in 1995, and I was able to do some work in that area. The edges of a person’s relationships can be really strange. I noticed that I had been drawn to Yamato. Interviewer: As the sound director of the Yamato series, you started to participate with Yamato Resurrection. How did you feel as a fan when you got to participate? Yoshida: Of course, I was happy and deeply impressed, but there was thought of, “Is it really good?” I became a sound director after I was first hired as a music director for West Cape Corporation. I learned the production process from the on-site flow of working on CDs, music ordering and recording, and BGM selection. It was known that I was in the theater department in high school, so there was an air of, “Well, you can aim for being a sound director, can’t you?” So I was introduced to Yasunori Honda of Arts Pro. To tell the truth, I hadn’t made any of my own work choices before then. (Laughs) Everyone told me that “the water is sweet” if my life were to go that way, and I noticed that is the trend for Yamato. Interviewer: You were absorbed by Yamato as a music director, and then absorbed by Yamato as a sound director. After Resurrection, it was inevitable that you would become responsible as the sound director on 2199 and 2202. Interviewer: In terms of the work, did you originally think, “I want to work in music and sound direction”? Yoshida: Music was my hobby. I was in the theater department in high school and got into the broadcast circle in college. I thought seriously about work and divided up my hobbies. Interviewer: You said it yourself, you were drawn into the flow. Yoshida: I think I was born under a star that gave me that fate. Interviewer: Since you mentioned your experience being in the theater department, did you have the feeling that “there was no choice but to ride” in becoming a sound director? Interviewer: Until then, you were in charge as a music director. Had you thought about trying to become a sound director? Yoshida: You might say I had an inkling. (Laughs) However, there was plenty to do as a music director, since that’s a complete profession by itself, and the fact was that I hadn’t thought about what I would do there. Interviewer: By the way, when did you start working as a sound director? 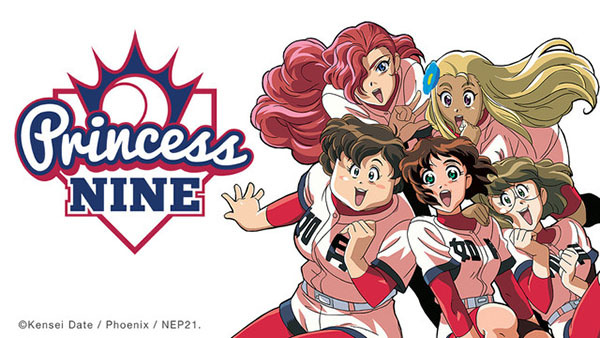 Yoshida: I worked under Mr. Honda at Arts Pro, and after I subbed for him my first independent work became Princess Nine ~ Kisaragi Girls High Baseball Team. It was an anime TV series aimed at girls, broadcast on NHK, and it was where I started from zero. Interviewer: You also seemed to take charge of sound effects with Yamato Resurrection. Yamato has many distinctive sounds created by Mitsuru Kashiwabara, which were used in 2199 and 2202. Is there a part where an original sound was used as is? Yoshida: The story of the sound effects is going to be a very long one. (Laughs) I first worked with Mr. Kashiwabara in 1996. That’s when Nippon Columbia released a CD called Space Battleship Yamato Sound Fantasia, which reproduced the world of Yamato with just sound effects and music. After that, at the time of Yamato Resurrection, since Mr. Kashiwabara said, “They’re not really made for 5.1ch,” I asked to just use partial data. He finally gave the OK because of my enthusiasm, and every day after that I earnestly copied over about 400 pieces of material from open-reel tape. The Director’s Cut got its final finish done by a professional, and we were able to fill in all the places with the old sound effects. When I talked with Mr. Izubuchi about 2199, he wanted to use the old sounds as a base, so I told Mutsuhiro Nishimura at Phase Sound Creation, “Let’s use this for the main part” and I gave him copies. In the process of expanding the sounds he reinforced the bass, and that established the present sounds. Interviewer: That means if not for you, we wouldn’t be hearing the original sounds. Interviewer: I’d think copying a library of 400 sounds would be a lot of work. What was it like? Interviewer: Since you worked through all that to make it digital, that means it’s preserved for all time, right? Yoshida: That’s right. Because of that, if I get an email saying, “Do you have this specific sound?” I can return the data in about 30 minutes. Interviewer: Were there any new sound effects you needed to add? 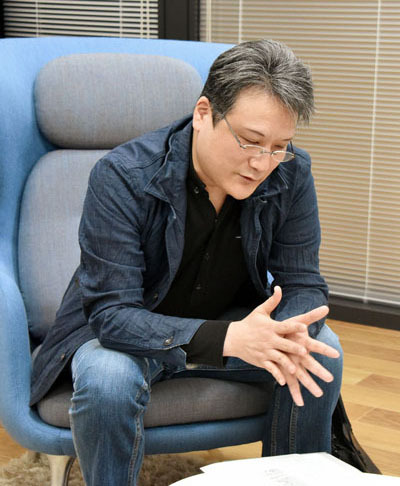 Yoshida: It was rare that we just reused a sound from that time. Almost every sound is enhanced in some way. Mr. Kashiwabara made some of the sounds on a Minimoog synthesizer. He took the raw sounds he actually recorded and applied effects to them, or lowered the pitch and played it at half speed, and a variety of sounds was born. Even if I add new sound effects, the tone of the synthesizer gives it a fantasy feel. As I said, it’s about taking good care of the roots. Interviewer: Is there a sound that’s difficult to reproduce now? Yoshida: Even if I ask Mr. Kashiwabara, “How did you make this sound?” he says, “I don’t remember.” (Laughs) It was truly incredible sound creation. It can be said that those sounds could only have been made at that time, including the equipment it was made with. There are also things like, “Modern microphones are too pristine to record such sounds.” They’re unique sounds from the effector of those days. Yoshida: There are quite a few things. For example, Yamato is based on the sound of a jumbo jet. Interviewer: The sound of a jet engine? Yoshida: The in-flight sound played at half speed with various synth added and processed. Interviewer: I’m interested in the sound of the Wave-Motion Gun. Do you know how it was made? Yoshida: I don’t know what the material was, but there’s a certain degree of completed data on it. When I heard the sounds of the Wave Engine going by the date on the tapes, I understood the process of how it was made very well. It was an unexpected idea. In the beginning, I have the image of Kashiwabara thinking, “Make this kind of sound” and then the process of “How shall I make it?” was born. It wasn’t simply “I’ll make up a good sound if I play around with various things,” because I don’t see that process going well. The moment when you first create that sound is amazing. Mr. Kashiwabara read a lot of novels, so I think he was brought up to imagine sounds in his head. Interviewer: I’d like to hear the process of how a sound is completed. Yoshida: When there is time, I hope you’ll have a chance to organize and listen to them. Interviewer: You mentioned a while ago that when you organized the tapes, “there were fantastic sounds.” If there were 400 original cues, was there also a pretty good number of “fantastic sounds”? Yoshida: There were many sounds that I cried to omit. Interviewer: Could you bring them back somewhere else? Interviewer: I think one of the jobs of a sound director is to give on-site guidance to the actors at the voice recordings. Chapter 3 was filled with dense, emotional performances, and I imagine it was hard work at the production site. How was it, really? Interviewer: Is it the sort of thing where Mr. Habara always goes and gives guidance and you add to it? Yoshida: Mr. Habara and Mr. Fukui are always at the voice recordings, and their thoughts are basically the same but they try out different patterns that change the emphasis. And then, “The one from a little while ago was better after all.” (Laughs) We talk about it and move forward. Interviewer: It’s an extravagant voice acting team. Does it feel like the real atmosphere of a voice recording? Yoshida: There is the image of it being “close to old voice recording.” With recent anime, a rehearsal video and script are prepared, and it’s possible to do a role by yourself. On the other hand, when you put all the tests together after each person makes their own, they can be inconsistent. When that happens, it’s difficult to tear down what you have made on your own. In the old days, the scripts were handed over at the site and everyone saw the video for the first time, so it was like they were all bringing it together. Most of the voice actors in their forties grew up on that kind of experience, and after seeing it go the other way, I strongly feel that interaction is better. Interviewer: Does a sound supervisor judge any aspect of the casting? Yoshida: Most of the roles on this project are carried over from Ark of the Stars, but Mr. Habara conveyed an image to me of the other characters and I decided on the casting as much as possible as long as it complied with our schedule. If someone didn’t work out, I would propose, “How about this person?” and he made choices from there. There were some characters they left entirely to me. Interviewer: Speaking of interaction, when Yamato and Andromeda had their near-miss scene in Chapter 3, you said they should record the “Prepare for impact!” line at the same time. Normally they would be recorded separately, but I saw a story saying you wanted it to be simultaneous. Yoshida: Yes. The picture wasn’t completed at the time of voice recording, so considering the post production it’s easier to record overlapping lines separately. However, the sense of spontaneity is lost. I wanted to avoid that, so separate recordings are reduced as much as possible. Interviewer: Is such a technique unique to a veteran cast, so you don’t have to say much? Yoshida: Yes. Since they’re all people who have worked with each other on other projects many times, it brings about a feeling of mutual trust. Interviewer: Is there anyone on the cast who helps you out as the lead actor? Yoshida: That would be “everyone.” (Laughs) Whether it’s Daisuke Ono [Kodai] or Houko Kuwashima [Yuki] or Unsho Ishizuka as the captain [Hijikata], they all do their best. It’s very well organized, and I realize how professional they are at every voice recording. Interviewer: By “close to old voice recording,” do you mean not many other projects are recorded the way Yamato is, or is it because there aren’t many projects with a cast like this? Yoshida: It’s because lately there are a lot of works centered around a young cast. I also work on things like Strike Witches, which has a young cast that is good, and it’s understood that their inexperience brings a fun and freshness. On the other hand, the atmosphere that comes from experienced veterans is one only they can bring, and it’s one of the attractions of Yamato. Yoshida: After all, I have both the perspective from the production side and from the fan side, and they don’t necessarily match, so you swing back and forth between them. When I pick some music and think, “The old fans will be pleased with this…” another part of me asks, “Will this really be good?” I’m always questioning. Interviewer: Earlier you talked about Producer Nishizaki, that it was a great thing to record ten hours of music for a two-hour film on Final Yamato. What kind of person was he? Yoshida: He had a “lump of passion” for the work, a love and a passion stronger than that of the usual person. I was in my twenties when I first worked for Nishizaki, and I didn’t have the physical strength to keep up with the passion he poured into it. I lowered my head and thought, “When I reach that age, can I make something with this much passion?” I thought I had to follow him. Yoshida: There are a lot! (Laughs) So far, the main point on 2202 was how to fuse the flow of 2199 into Yamato 2 and Farewell. 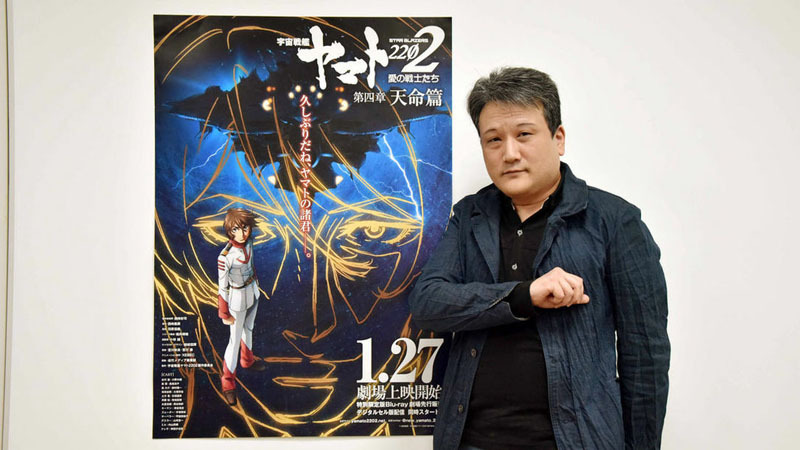 The music is based on the old music and on 2199, so there may be some who are waiting for Akira’s original music and thinking, “Why aren’t we hearing it?” Some original expansion began gradually from the middle of Chapter 3, and it comes to the forefront in Chapter 4, so it comes with a lot of new music from Akira. For those who have longed for new music, I think this chapter will be exquisite. As for the story, we have the relationships between Zordar and Sabera, Dessler and Teresa, even Goland and Zabaibal and Miru, so it’s aliens on parade! (Laughs) I want everyone to see what happens. Interviewer: 2202 is a work that combines Farewell with Yamato 2, and you said a while ago that original elements will come out, too. I can’t read at all what will happen down the line. What do you expect in the future? Yoshida: I can’t say anything about musical “gimmicks” yet, but for the ending I’m preparing my own response forty years after Farewell. I hope you’ll look forward to it, too. Interviewer: I see. Thank you very much for today. This entry was posted in Yamato 2202, Yamato 2202 Music by TimEldred. Bookmark the permalink. As a film student going into post-production sound design, I had the biggest grin on my face while reading this. By far, this and all the other post-prod articles about the making of the series are my favorite to read on the site. Thanks a bunch, Tim!